The unsung hero is a common figure in sports. The basketball player whose position on the court is not noted by anyone except the defender who must change position to cover him, and leaves open the small space through which the ball carrier drives to the basket. The offensive lineman whose role is not noted by anyone except the player across the line who never, never gets through to ruin the ball carrier's day. The ball carriers know who these heroes are, but they seldom get press coverage. If the infantry is the ball carrier of the battlefield, then one of its unsung heroes is the rifled 4.2-inch chemical mortar. It was the M2A1 in World War II, it was the M30 in Korea and in Viet Nam, and today it's the 107 mm mortar called the “infantryman's artillery” or, more commonly, the “four deuce”. By all these names, the original 4.2 and its descendants have been muscled out of the limelight by the more identifiable artillery, and confused with the smaller 60- and 81-mm smoothbore weapons, which inhabit the battlefield in greater numbers. In every major action for half a century, the unsung contribution of the 4.2 has been measured by the numbers of U.S. infantrymen who came home alive because the men who planned to kill them died first. The would-be killers protected themselves from smaller mortars by distance and by fortification, and from artillery by terrain which blocked flat trajectory, high-velocity fire. Carefully protected, they fell in thousands to 4.2 shells which dropped high explosive and searing white phosphorous nearly straight down into their midst with a suddenness that left survivors confused and demoralized. Those U.S. infantrymen owe their lives to a little known unit of the Chemical Warfare Service which in July 1943 took the 4.2-inch mortar into combat for the first time over the beaches of the island which lies like a football at the toe of the Italian “boot” – Sicily. 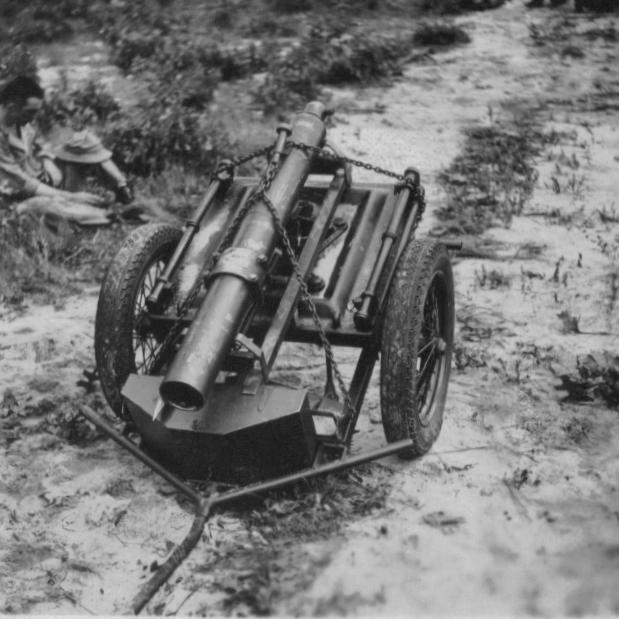 They were the Second Separate Chemical Battalion (Motorized) and they called their untried, unknown weapon the “Goon Gun.” Long after they did their job on Sicily, when War Department plans for assaulting the Japanese homeland called for 32 such battalions, they were re-designated the Second Chemical Mortar Battalion. The Battalion traces its heritage, and its weapon, directly from the 1st Gas Regiment which fired the British 4 inch Stokes mortar for the American Expeditionary Force during World War I. Once chemical warfare was initiated in that war, both sides sought a better attack method than the use of cylinders, which relied on wind to drive the cloud over enemy lines. High velocity shells from breech-loading artillery proved to carry a relatively low gas payload that allowed the enemy time to don protective gear before a high concentration built up. The 4-inch mortar, muzzle-loaded, achieved more than ten times the rate of chemical delivery. Between the wars, the fledgling Chemical Warfare Service tested designs with improved range, endurance and accuracy. By December 1941 the standard Chemical Warfare Service weapon was the M2A1 mortar, rifled to a 4.2-inch diameter and with startling accuracy at ranges up to 2400 yards. The M5 powder charge to increase the range to 3200 yards was under test. Problems with flight stability of gas or liquid filled chemical shells had been resolved. Despite its promise, manufacture of the 4.2 had been suspended in 1936, and its future was in serious doubt, because it was a chemical weapon. President Roosevelt had made very clear that the U.S. would abide by the restriction on use of gas until somebody else violated it. The U.S. military was in the midst of an eruption that would take if from the 19th-rated power in the world, right behind Portugal, to the ability to field 12 million armed men. Every planner and every troop commander knew that there were not enough tanks, guns, ships, planes, ammunition, or enough men to use them. There was no support for setting aside a large body of men and equipment in the form of a Chemical Warfare Service that might never see active use. More artillery was critical – let them be prepared to fire gas shells if the time came. More infantry were needed – give them a little training so they could fire gas from their 81- millimeter mortars if need be. If all else failed, let the engineers do it! In the midst of this argument, MG William N. Porter became Chief of the Chemical Warfare Service on 31 May 1941. He had graduated from the Naval Academy in 1902, joined the Coastal Artillery Corps 1910, and 1921 went to the CWS as a major. 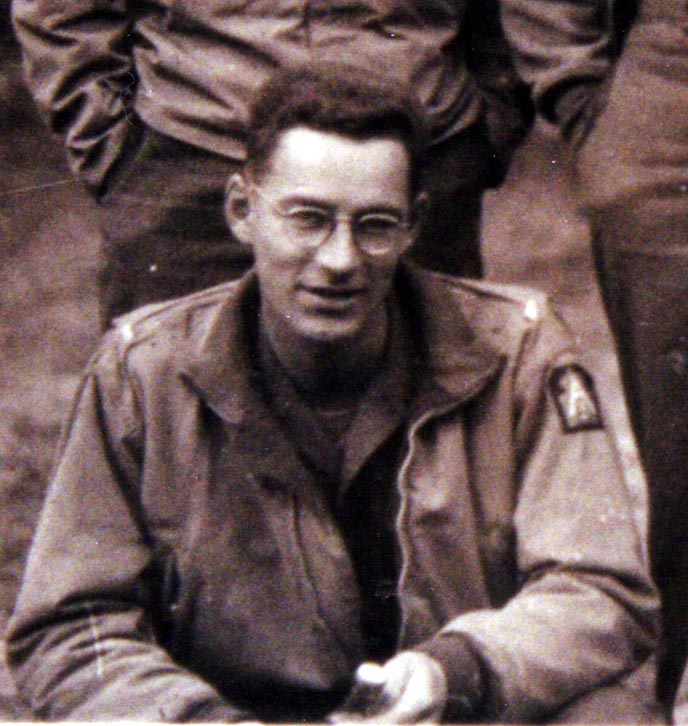 The official U.S. Army history describes Porter as affable, diplomatic, and able to get high performance from subordinates by helpful criticism toward tough goals which he encouraged men to believe they could meet if they tried hard enough. With his peers, he operated by the method we call networking today. He knew what was happening in his own command and in others as well, so could respond quickly to setbacks and to opportunities. Robert W. Breaks, West Point Class of 1936, described Porter to me on a more personal basis. As a mounted infantry captain, Breaks saw a chemical company training with 4.2s in Hawaii, became intrigued with the weapon, and got himself transferred to the CWS where he was assigned to Porter's staff. As Chief of CWS, Porter was personally responsible for providing the U.S. with the ability to wage chemical warfare on a meaningful scale. He believed that to create the illusion of chemical capability under one of the other service branches would be to invite an enemy to undertake chemical warfare who might otherwise have been deterred. Porter knew that none of the other branches really wanted to be burdened with chemical capability – they were stretched to the limit procuring and deploying conventional weapons. He also knew that the Army Chief of Staff, George C. Marshall, was a forward thinker who was open to new ideas. Touching all the bases with those who might argue against him, Porter worked his way up to a conference with Marshall in February 1943. His proposal was straightforward: a large chemical branch would not be wasted if, in the absence of gas warfare, it was employed at the front to provide fire support with conventional munitions. A high explosive, fragmenting 4.2 shell for this use had already been designed and tested. All that remained was to authorize its production and use, and to establish doctrine, the written procedures and techniques by which the supported units would call on the chemical mortars for fire against the enemy. Marshall and his assistants knew their business, and they expected Porter to know his. Wasn't this 4.2 idea just a duplication of the artillery mission? No, argued Porter. While the 4.2 did not have the artillery's range (12,000 yards for the 105mm howitzer) its higher rate of fire (12 rounds per minute) gave it a payload-on-target rate 4.5 times greater than the 105 could achieve at the same range. The mortar weighed 305 pounds, the 105 weighed over 2 tons. The mortar required much less transport and less than half the crew support. It could be dug in and camouflaged in sheltered locations, protected from enemy fire, which the artillery could not get to or occupy. For intensive fire against enemy position close to the front lines, it did a job the artillery could not match. What did these mortars offer that wasn't provided by the 81-mm that were already integral equipment in every infantry unit? Their range was the same as the 4.2. Porter had an answer for that one, too. 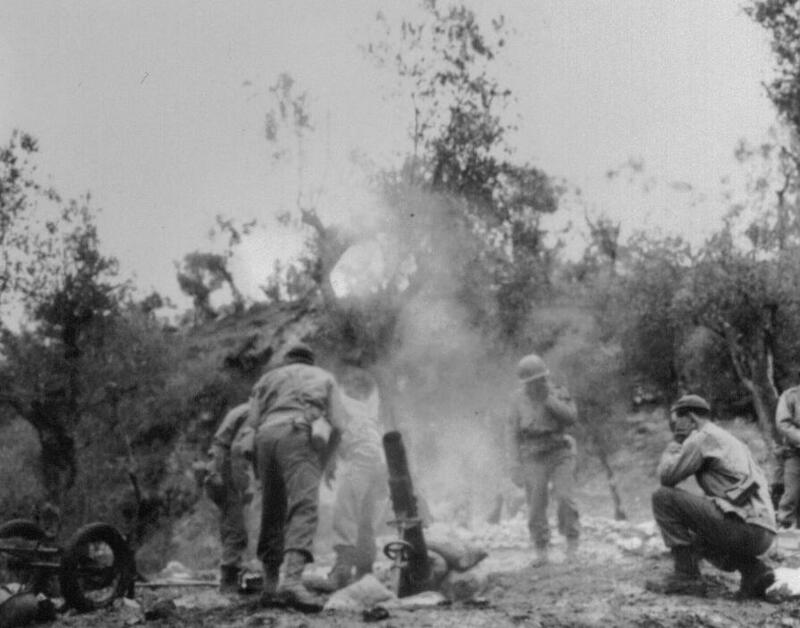 The smaller mortars used simple fire control methods suitable for an infantry squad, but they were far less accurate, especially when a remote observer directed fire. The 81-mm shell was closer in firepower to a rifle grenade than it was to the 25-pound 4.2 shell that carried the same HE payload as the 105. Porter's argument carried the day. On 19 March 1943, the War Department authorized the combat use of high explosive shell for the 4.2 mortar and directed that Field Manual 100-5 be revised to train infantry commanders in the use of the 4.2 for close support. Porter knew that he had earned an opportunity that could still slip away from him. Getting the HE shell into production would be a task, but it could be managed. The real problems was that the divisions soon to go into combat had been in training for a year, and were long past the stage when they read FM100-5 to find out what to do. What would convince invasion planners and troop commanders, hard pressed by a shortage of time and shipping, to include in their order of battle a unit and a weapon which was completely untried in the role for which it was now to be recommended to them? The next “big push,” whenever and wherever it would be, had to end with infantry commanders clamoring and fighting among themselves for access to 4.2 mortar support. Otherwise the weapon, and the units that used it, and Porter's ability to deter the use of chemical weapons in this war, would quickly die as its men and priorities were gobbled up by other hungry service branches. Early in 1942 Porter had formed six battalions to equip and train with the 4.2 mortar. As Bob Breaks related it to me, in 1995, “One day Bill Porter called me in and said, 'Bob, I'm forming the Second Chemical Battalion up at Edgewood. Would you like to have it? '” Breaks knew that Porter viewed the performance of the chemical mortars as crucial, and he believed Porter was right. He took the job. The Second had been reconstituted in 1935 at Edgewood Arsenal, Maryland, from the personnel of the 1st Gas Regiment, as A Company and a Headquarters detachment. In January 1942, it moved to Fort Bragg NC for training. It was authorized an expanded organization of a full headquarters company and four weapons companies. A, B, C, and D Companies each totaled eight officers and 143 enlisted men to support 12 guns. A 105mm artillery battery of 12 guns would have required 12 officers and 325 enlisted men. Beginning in the fall of 1942 the four weapons companies rotated one at a time, to Camp Gordon Johnson at Carabelle, Florida, for amphibious training. 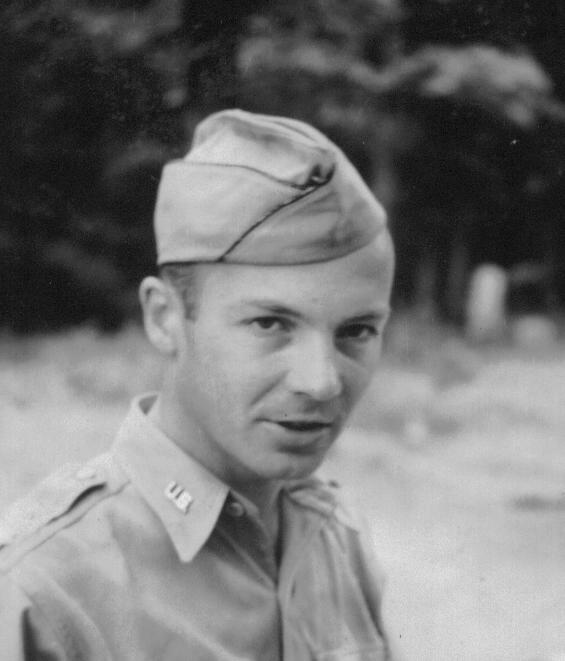 When the unit moved to Camp Picket, Virginia, in February 1943, Breaks arranged for his men to carry out joint training and field exercises with the 45th Infantry division, and later with an engineer battalion and even a paratrooper regiment. The Third Separate Chemical Battalion had also activated in January and the 83rd and 84th in April. When these four battalions went to the Mediterranean for the invasion of Sicily, only the Second was fully trained in amphibious assault. Only the Second had trained in the field with the infantry units it was to support in combat. Even so, when it hit the beach, the battalion had fired no more than thirty live HE rounds per gun in training. A lot of the training was sheer physical endurance. An early lesson with the 45th Division was that motor transport would not get the guns into the forward positions where they were needed to support the combat infantry. Instead, teams of men pulled carts equipped with pull bars and chains, rolling on two wheels a little thicker than a standard bicycle. A cart loaded with one mortar or twelve rounds of ammunition plus assorted tools and personal gear weighed between five and six hundred pounds. “We would start out in the morning and pull those guns up the Blue Ridge Mountains all day long, then bring them back down. Even coming down we were pulling them uphill so they wouldn't get away from us” recalled Carl Poulsen, a squad leader in Company A. “The longest one-day run that sticks in my mind is 17 miles. The day after a hike like that, half my squad would be on sick call for aches and pains and pulled muscles.” It didn't help to come back into camp past men from other units who made hee-haw noises and cracked jokes about jackasses pulling carts. 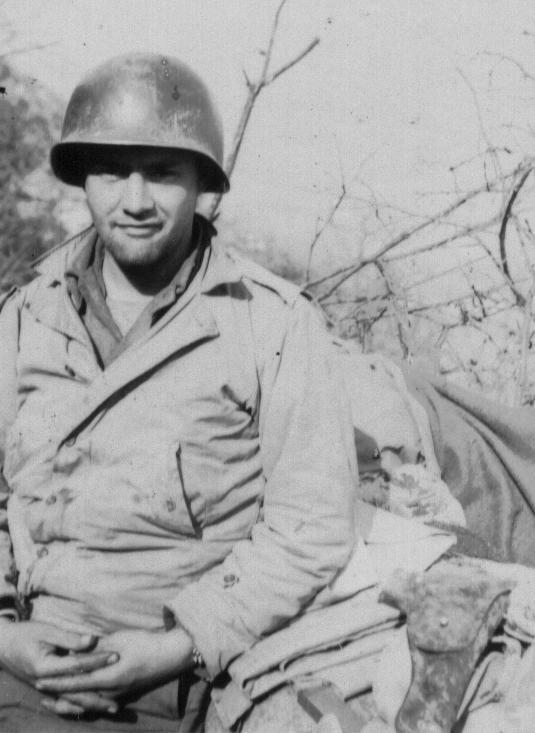 Dave Goodell, a lieutenant with A Company, got separated from his platoon shortly after landing, so he made radio contact with them and walked with the forward elements of the 179th infantry. From there he called in firing instructions almost as soon as the infantry officers could identify them. “We were trained to calculate elevations, azimuths, and powder charges from the forward positions.” Artillery observers needed a fire direction center to make these calculations, and in the confusion of the landing it took a long time to set them up. Further to the east, the 180th Infantry and D Company were also doing what they could in a chaotic situation. The 4.2 squads suppressed defensive positions that were blocking the infantry advance near the little town of Biscari. In the evening, the Germans hit the 1st Battalion of the 180th with a counter attack of 11 tanks and supporting infantry, designed to protect the Biscari airfield. D Company's 1st platoon fired 60 rounds and knocked out three of the tanks, but the infantry had to move back to keep from being over run. The platoon took up new gun positions and fired harassing rounds throughout the night. Forward infantry positions reported that 4.2 shells falling in the midst of German troops in their assembly area had broken up at least one counter-attack. It's typical of the unsung role of the 4.2s that the official Army history records only that the 171st Field Artillery Battalion supported the 180th Infantry this day. The next day the 2nd Battalion of the 180th suffered a similar counterattack, but this time the infantry was overrun and fell back to reorganize. There were no friendly troops left between the Germans and the 4.2 gun positions of D Company's 2nd platoon. 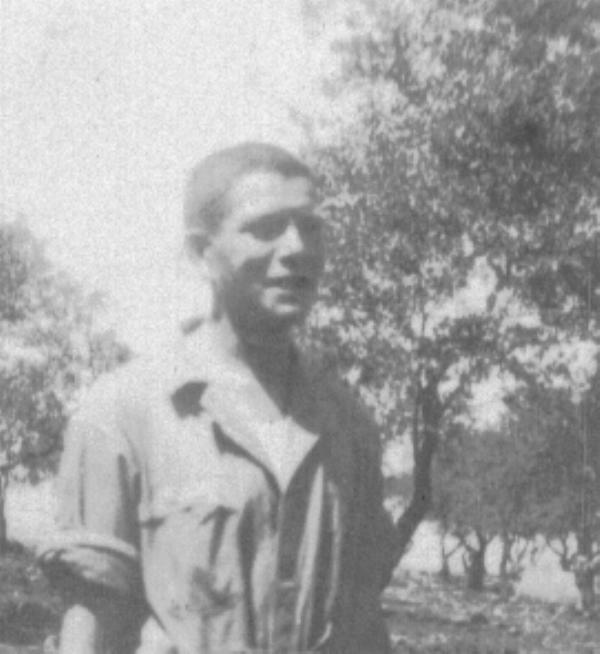 From his position at D Company headquarters, Lt. Baglietto, the platoon leader, jumped into the cab of the first convenient truck. Privates Amos Grizzard and Bob Davis and PFC Lorenzo Poin leaped on board as he drove past the infantry officers and troops that were frantically getting themselves assembled into the proper units and digging in. Baglietto gunned the truck through artillery and machine gun fire for 500 yards until they reached the guns. With a few of the gun crew, they piled the 350-pound mortars into the truck bed and roared back. The guns were back in action before night fell. By July 13, the 179th infantry had advanced just south of Gramichele. Patrols observed German infantry and armor in the terrain ahead, and several civilians provided information that suggested a counter attack was likely. During the night a German tank fired repeatedly from a position a few hundred yards ahead of the lines, and an infantry captain came over to ask A Company if they could do something about it. Dave Goodell went with his CO, Captain Kuiper, and a BAR man out into the darkness with a radio. They worked their way over the stony ground to a point where they could estimate the tank's position. Captain Kuiper got under a map with a flashlight and worked out the orders to the guns. Then it was Dave's turn under the raincoat to check the captain's figures, and they called in the first round. There was a flash and a WHOOMP! and the sound of small debris coming down around them. The shell had impacted just about fifty yards to their right. They sent in corrections and a volley of four rounds came in near the tank's position. They heard its engine rev up and it began to move off, so they guessed at a new correction and four more rounds came in. There was silence for a long time, and they crept back through the infantry positions. At dawn, the 179th was hit by 30 German tanks and 500 supporting infantry. The artillery could not fire effectively because they had moved into positions after dark and had not fired registration rounds to establish their coordinates. The 4.2s of A Company's first platoon were only a few hundred yards behind the lines, and four guns were firing within minutes. The tanks continued to advance, but the supporting infantry was forced to take cover by the shells landing in their midst at the rate of thirty or forty per minute. Without them, the tanks were open to rifle grenades and bazooka fire, and four were destroyed. This slowed the attack so that the divisional artillery had time to register, and under the weight of its barrage the attackers withdrew. There was no question that without the 4.2s the lead battalion of the 179th would have been over-run. At this point there was a lull in the Sicilian campaign for the U.S. Seventh Army. British Eighth Army General Montgomery had decided, without authorization and without even informing his Allies, to route the 1st Canadian Division up Highway 124, directly across the front of the advancing 45th Division. In retrospect, this move appears to have prolonged the campaign by as much as two weeks. Its immediate effect was to send the 45th Division all the way back to the beaches, around the rear of the American 1st Division. It resumed its position in the line several days later. This period was also the last of combat for the other two Chemical Mortar Battalions in Sicily. The 83rd Chemical Battalion was reattached to the 82nd airborne to clear western Sicily of resistance, but the Germans had withdrawn their defending units to the east and there were virtually no targets. The 3rd Division had been in North Africa since November of 1942, and they really didn't know what a 4.2 mortar was for. Within a few days of landing they had released the 3rd Chemical Battalion to II Corps reserve, and its men were put to work guarding POW camp and supply points. The Germans made few active attempts to slow the 45th's advance. Blown bridges and mines, which were hard to detect on the volcanic soil, would give them plenty of time to prepare the position to the east where they would make a series of delaying stands. There were a few well-chosen roadblocks where a small number of weapons firing at a column on an exposed road could cause trouble all out of proportion to their numbers. 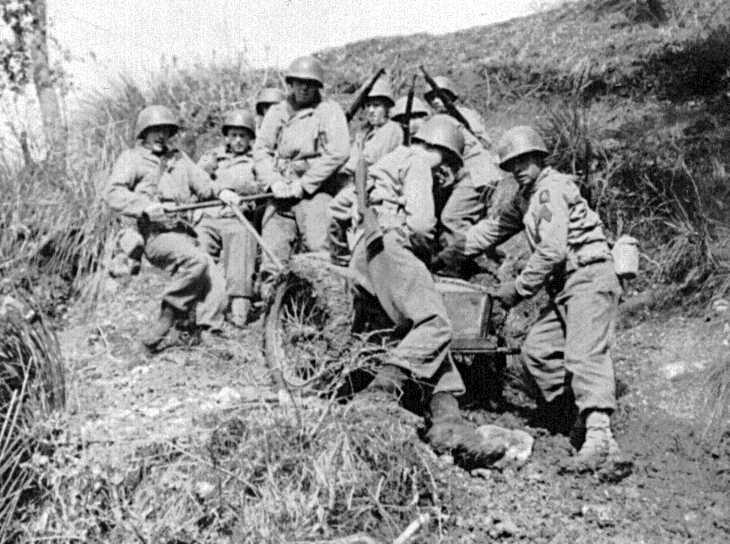 A squad of B Company hauls an ammunition cart up a slope. One of these was just south of Caltinisetta. Most of the German fire seemed to be coming from a wheat field on a slope ahead of the column, but the exact strong points could not be identified. Lieutenant Colonel Murphy, of the 1st Battalion of the 157th, called on the 4.2s of C Company. The guns were setup with the crews under machine gun fire, ammunition was prepared, and Lieutenant Zeus called in firing directions from a temporary observation post. Four white phosphorous shells came down in a spread, and within a few minutes the entire field was in flames. The smoke was too thick to observe any Germans withdrawing from the field, but the shooting stopped. 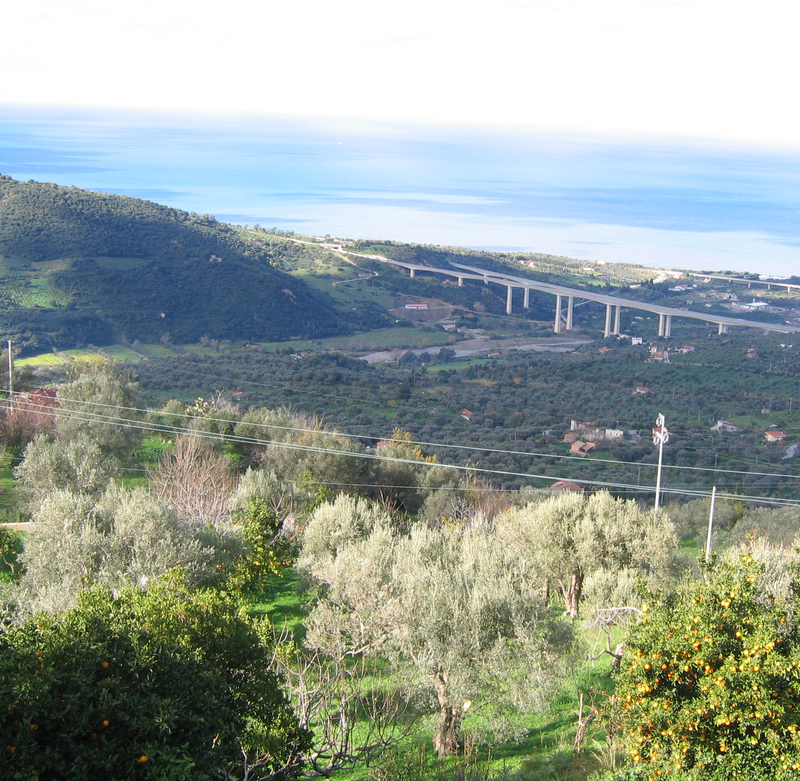 Reaching the north coast, the 45th Division turned east in the famous race for Messina. Suddenly it was a different war. The Germans held prepared positions that looked directly out on the coastal road, and the shoulders and ravines and slopes off the road were heavily mined. The “goon guns” on their carts were hauled along the same trails and ridges that the infantry scrambled over. After a week of grinding east, the 45th Division was pulled out of the line and relieved by the 3rd Division. Patton confided to Omar Bradley, II Corps Commander, that the 45th was tired, and its attacks were losing energy. On the night of 31 July, the men in the 4.2 gun positions watched as the soldiers of the 3rd Division moved forward and those of the 45th moved back. The next morning they got their own orders to move east, with the 3rd Division. They would not be relieved. The 2nd Chemical officers soon realized how lucky they had been to be in combat with the same infantry units they had known in training. Officers of the 3rd Division had no idea of the combat role of the 4.2. They associated chemical units with gas masks and clothing impregnated with funny-smelling protective compounds. Division Hq told Captain McConohie of Company C he would be attached to the 30th infantry regiment. When he reported to their CP, he was told to sit tight until further notice. Checking further, he found that his mortars had not even been assigned a radio frequency. Finally he was told to take his unit down the road and set up a bivouac – in a location which had not yet been cleared by the infantry! In the other companies, officers found they were ordered to report to CPs and liaison posts of uncertain location, in the dark, over mined terrain that had not been cleared, and without guides provided by the infantry. Colonel Breaks and the company commanders had their hands full with an on-the-job educational program about what 4.2 chemical mortars were for. The 3rd had other lessons to learn. Up to this point in Sicily they were used to advancing rapidly, enveloping and overwhelming defenders that were primarily Italians, and a few Germans in mobile units. On the north coast, where steep ridges and deep ravines crossed the single road, this was a recipe for disaster. Repeatedly the lead infantry battalion came under observed fire, and found their artillery support too far to the rear, or not yet emplaced, or unable to reach the German guns on the reverse slopes. Flanking movements were not a matter of hours, but of days spent in scaling cliffs and edging along narrow trails, often under fire. And repeatedly the commander of the leading battalion found a chemical officer at his elbow, map in hand, explaining how soon his guns could block German observation with smoke and drop high explosive into their gun emplacements and pillboxes. It didn't make the infantry's job easy, by any means, but some days it made it barely possible. 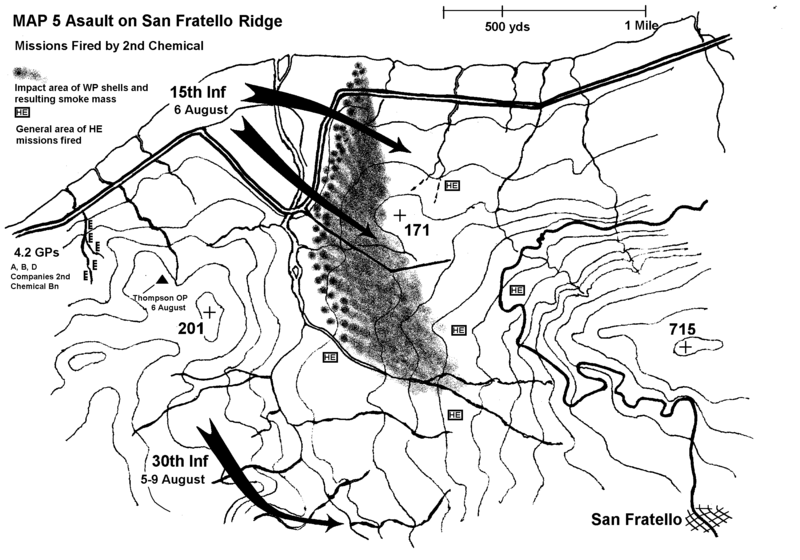 On August 4, the 3rd Division prepared to cross the Furiano River and assault a high, rocky feature called the San Fratello Ridge. Planned for a single day, the assault would prove to end on the fifth day, which was the day the Germans evacuated their positions as planned more than a week before. On that first morning, the artillery had not yet registered, so the support for the crossing fell entirely to three companies of the Second Chemical. A and D Company fired high explosive at probable gun emplacements, while B Company fired smoke to screen observation. Each fired more than a thousand rounds in barrages rolling forward with the infantry from 1,000 to 3,500 yard range. The assault battalions were slowed by mines, wire and automatic weapons with interlocked fields of fire on the open bed of the dry river, and were forced to return. On August 5, a battalion of the 30th infantry made a smaller flanking attack and gained some high ground southwest of the main ridge, but the open slope below had yet to be traversed. By the morning of the 6th, artillery had been carefully laid in and the attack was preceded by a 30 minute barrage from the equivalent of nine battalions of medium and heavy artillery. The 2nd Chemical provided smoke for this assault in a pattern similar to the one fired two days before. By this time the Germans knew the general location of the mortars, and almost every platoon was forced out of its position by hits directly within the gun positions. In one platoon four of six guns were knocked out. Two other platoons were faced with reduced fire capacity when shells exploded their ammunition supply. Telephone wire to the OP's was knocked out repeatedly and men were wounded going out to find and splice the breaks. 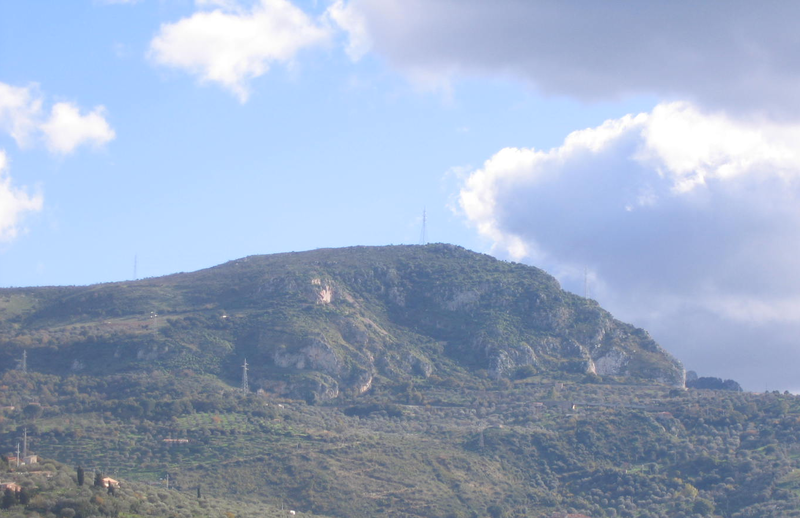 The assaulting infantry, two battalions of the 15th Infantry, made it part way up to San Fratello Ridge, known by now as "Million Dollar Hill" because of the number of shells expended on its slopes. As they advanced they got closer to the observers and closer to the hidden guns, and finally were unable to advance further or to withdraw without exposing themselves to massive casualties. In mid afternoon the commander of the 15th infantry called Lt Col Breaks to his CP and explained the situation. Breaks returned to his officers, and Captain Lowell Thompson volunteered his D Company for the mission. He decided that contrary to usual practice, he himself would call the orders from the OP. This left his experienced platoon commanders available to supervise the gun crews directly. 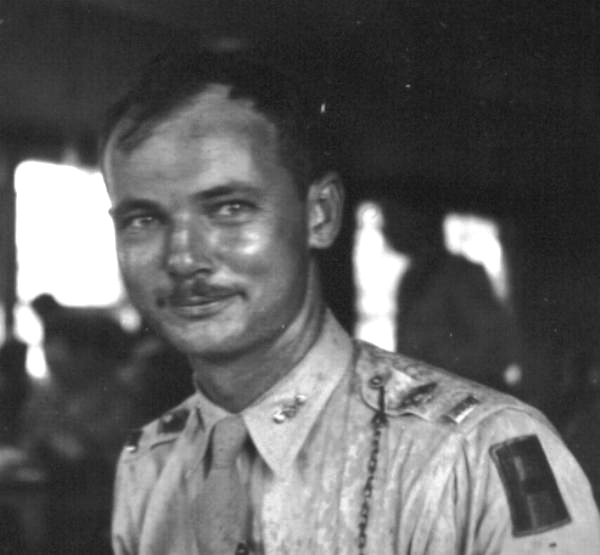 Paul Eldredge, executive officer, detailed Lt. Baglietto's second platoon to return to the gun position they had just been forced to leave. He told Baglietto to strip the guns to minimum crews. The screen would require about one shell per minute from each gun, so instead of passing the shell down a line under normal procedure, the men would stay in their holes with shells prepared to fire, then race for the guns, fire, and dive back. It was Russian roulette, but it would get the screen started immediately. Eldredge directed Lt. Young's first platoon to a new gun position. It was rocky and uneven and made for lousy emplacement, but it was sheltered behind a low rise. Captain Kuiper of A Company had one platoon re-emplace its guns at a former position, in case D Company went completely out of action. The platoons headed for their positions while Eldredge organized the rest of the company to transport ammunition to the guns. Soon, second platoon's shells were bursting just uphill from where the 15th Infantry was hugging rocks and tree roots, and clouds of thick, white opaque, smoke rolled up and blended into an impenetrable shield between them and the probing eyes only a few yards away. Forward on his small hill, Captain Thompson watched the rounds landing in regular patterns, and called in adjustments to individual guns to fill thin spots caused by shifts in the afternoon breeze from the sea only a mile or two away. Mortar crews raced to and from their shallow holes one and two at a time to adjust the guns and fire the rounds, but within a couple of hours the position was taking concentrated fire and it was only a matter of time before men would be dying in their trenches. By now, the first platoon had dug out rocks and sandbagged their guns so that they were stable enough to use. They took over the mission as the second platoon, spattered by dirt and rock chips from near misses, went around the nose of a small ridge to shelter. Shells fell in searching patterns around first platoon's position and cleared the low rise to scream over their heads, but they continued the screen until full dark at 10:15, when the 15th infantry crawled back down the slope and over the river bed. 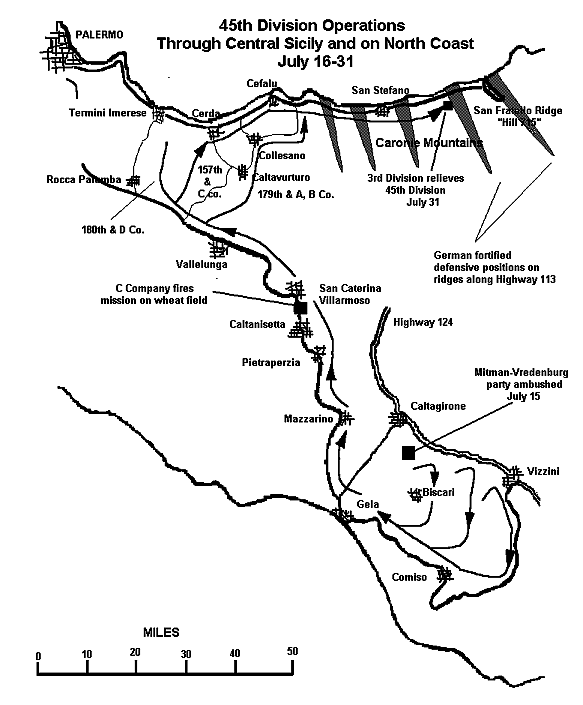 The next night, August the 7th, a battalion of the 30th infantry landed east of San Fratello Ridge in the first of Patton's famous "amphibious end runs". The Germans, already evacuating the ridge, were caught on the highway in a confused fight but escaped to the east. There would be another ten days of grinding pursuit through minefields, blown bridges, and ambushes before the Seventh Army finished its race to Messina. The 2nd Chemical Battalion would fire many more missions during those nine days, but it would never again have to explain to the 3rd Division what a 4.2 mortar was for. There was no question that General Porter had won his fight for a combat role for chemical troops. About 35,000 4.2 rounds were fired in Sicily, about two thirds of them by the Second Chemical. The echoes of those first shots in anger were heard in every theater of the war. General Truscott, the 3rd Division commander, issued a formal commendation to the unit for the action at San Fratello Ridge. Within six months General Gruenther, chief of staff of the Fifth Army in Italy, made the public statement that he would not commit a division to combat without a chemical mortar battalion attached. When the U.S. Third Army became operational in France a year later, Patton's second operational order stated that no division was ever to be committed to combat without a chemical mortar battalion attached, and further that no regiment was ever to be committed without a chemical mortar company attached. In the Pacific, they were often the first heavy weapons on a hostile beach, long before conventional artillery could set up, and on a few occasions, 4.2s even fired from landing craft on the way in to the beaches. Plans for the invasion of Japan called for no less than thirty-two chemical mortar battalions, nearly as many as the number of infantry and armored divisions expected to be on the ground. Throughout the war chemical mortars fired many of their most effective missions on direct request from the company or even the platoon level of the units they supported, eliminating the need to route requests through regimental and division levels of communication. The 4.2s remained nearly invisible to officers at division and corps levels, who often did not even know the missions had been fired. And so when the histories were written, their missions were often referred to as anonymous “mortar fire,” a divisions “heavy mortars” or even attributed to the artillery. Epilogue: The M30 model of the 4.2 was standardized in 1945. It was designed with a circular base plate for 360-degree traverse and a range of 6,000 yards. Some M2A1's continued in service through the Korean War. In Viet Nam the standard infantry heavy weapons company carried 4.2 mortars mounted in mobile tracked vehicles. 1990 the U.S. Army decided to phase out the 4.2 and replace it with a 120-mm mortar of Israeli design. The replacement has been gradual, and the M30 model of the 4.2 was still an active weapon in 1998 when U.S. forces re-deployed to the Gulf of Persia for a second time.